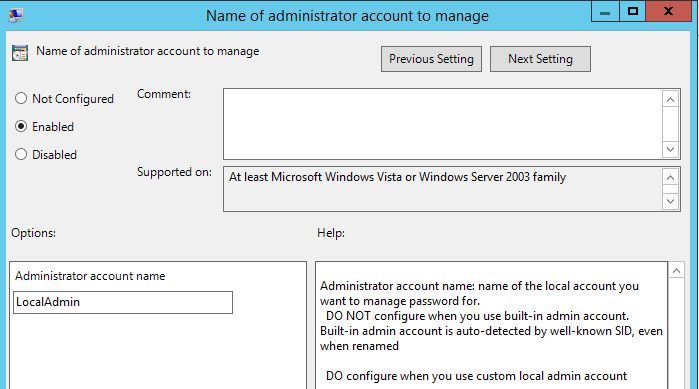 In part 1 we deployed a custom local administrator account of LocalAdmin, this is the account I wish to manage. Leave this set to “not configured” to manage the default Administrator account (-500). Enable this setting to turn LAPS on. 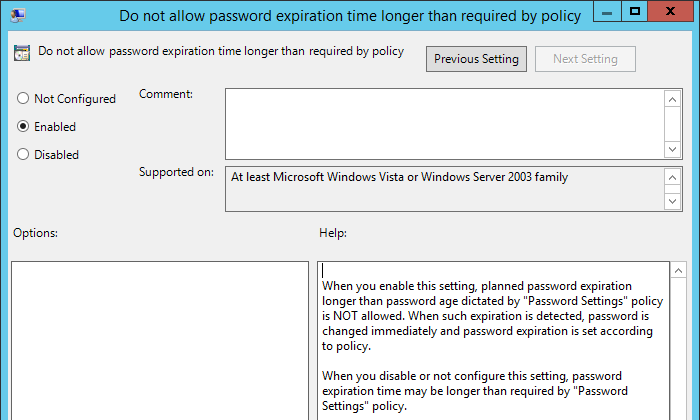 When you enable this setting, planned password expiration longer than password age dictated by “Password Settings” policy is NOT allowed. When such expiration is detected, password is changed immediately and password expiration is set according to policy. Link the GPO to the OU with the computer objects you wish to manage with LAPS (and that you have deployed the LAPS client to). If you’ve followed all of the steps so far, the solution will now be fully deployed. There are various ways you can view the password set by LAPS. The most obvious choice, and probably what most people will default to using is the LAPS UI, which is installed as part of the LAPS management tools. 1. 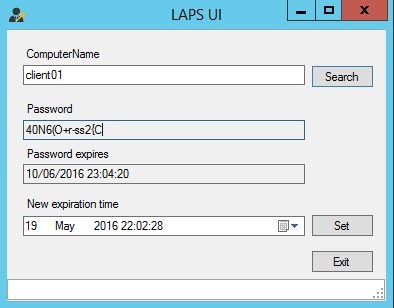 LAPS UI – Simply run the UI, type the computer name and click search. Note the Set button. This allows you to manually manage when the password is re-generated for a given machine. 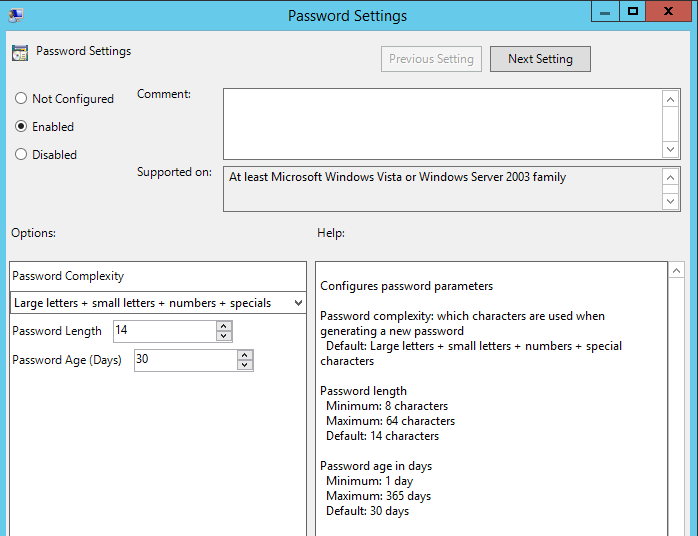 If you want to expire the password immediately, click set with the current date and time. The next time the computer performs a gpupdate, it will check the ms-Mcs-AdmPwdExpirationTime attribute which will force it to re-generate a password (as it will have expired). You can also set it to a specific date and time if required. 3. Active Directory Users and Computer (DSA.MSC) – Make sure you have advanced features ticked from the view tab. Note the expiry time is in NT system time, to convert to a readable format, use w32tm /ntte %ms-Mcs-AdmPwdExpirationTime%. 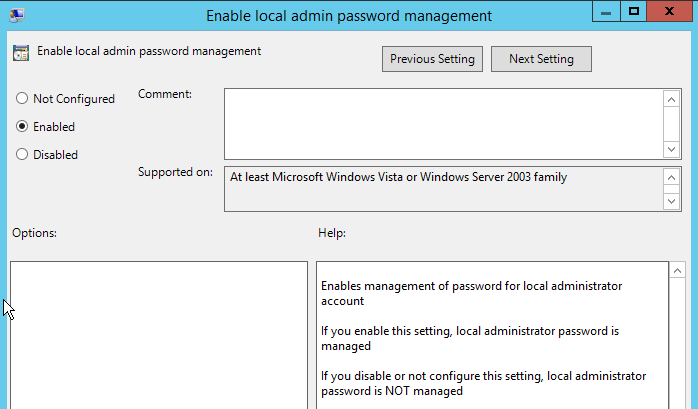 If you’re looking at a Local Administrator Password solution, currently using GPPs to deploy Local Administrator accounts or simply want to increase the security of your machines LAPS is absolutely something you should look to implement. I hope you’ve found these posts helpful, and good luck! This was an excellent write up. Thanks you very much, this make installing laps a breeze! Just want to second this comment.